be brought in as a completely knocked-down unit and will be assembled at the company’s facility in Manesar, Haryana. It is a fine blend of modern styling mixed with retro elements to give it a rather unique look that undoubtedly takes its inspiration from sporty café racers. 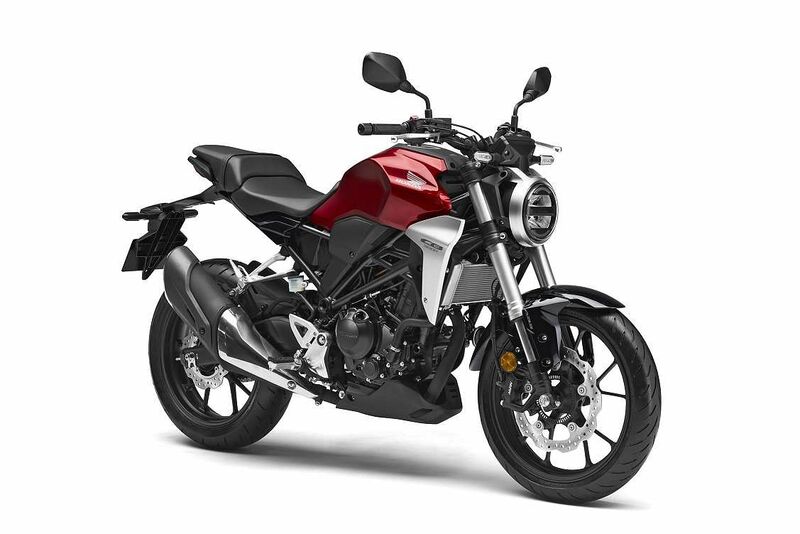 The CB300R is constructed with tubular and pressed steel which gives it a light-yet-rigid chassis that enables it to handle like a dream. You also get a swing arm manufactured from steel plate and a single rear shock that comes with a seven-step adjustable setting. The handlebars are tapered to allow a 40-degree turning angle which also plays a pivotal role in the handling department. The bike gets very stylish exhaust pipes, full LED lighting that includes the indicators as well, inverted front forks, 296 mm disc brakes, four-pot calipers with ABS and G-Sensors. The braking system also benefits from an innovative inertial measurement unit—which provides precise front and rear distribution of the ABS system depending on the bike’s posture. Thus, it helps to control the roll, pitch and yaw, therefore, improving the control factor even at higher speeds around corners. Powering the CB300R is a 286 cc DOHC four-valve, liquid-cooled single cylinder engine that is also seen in the CBR300R. Known for its free-revving nature, this engine has been tuned for performance and promises an engaging riding experience. Set to launch later this year, the Honda CB300R is expected to be priced below `2.5 lakh.